Talk about a fortuitous time to be floating. A pilot who crashed his plane into the Colorado River on the Ruby-Horsethief section near Grand Junction, Colo., owes his life to paddlers. A 59-year-old Kitfox pilot crashed into the Colorado River near the Colorado Utah border and was lucky enough to be found by passing rafters before professional rescuers arrived on scene. The rafters took the injured pilot to the closest boat ramp in Westwater, Utah, where they were met by an emergency crew. 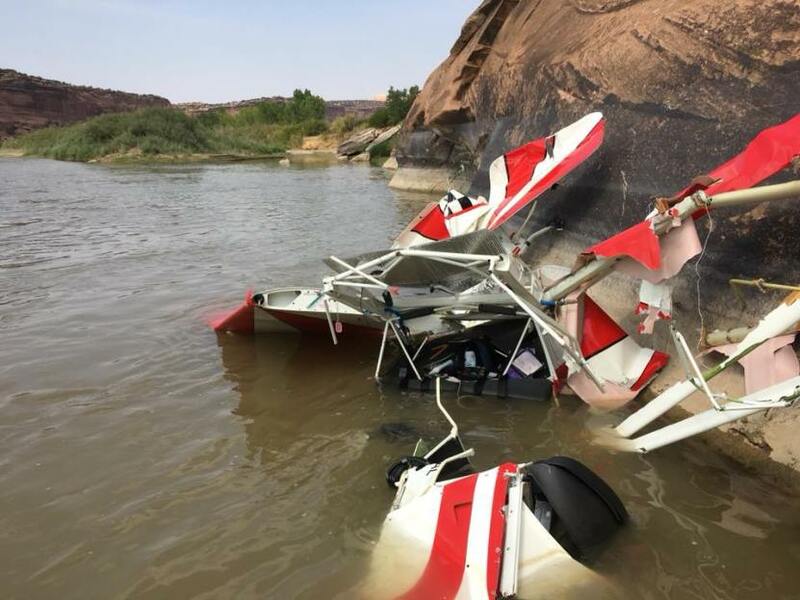 According to the Mesa County Sheriff’s Office, Mesa County Search and Rescue and Lower Valley Fire Protection District responded to a report of a small plane crash in the Colorado River near the Colorado Utah boarder. Preliminary reports indicated the 59-year-old solo pilot was conscious and breathing but did have some injuries. He was being helped to safety by a passerby who was rafting in the Colorado River. Rafters saw the plane and helped get the pilot to the nearest boat ramp (Westwater, Utah) where emergency crews were waiting and transported the pilot via helicopter to the hospital. Deputies took a boat up river and helped secure the Kitfox aircraft at the crash site. The plane is believed to be a Kitfox aircraft and was partially submerged in the river.